If you've always thought your Smash Bros. fights were a bit too dry, Team KwaKwa's new platform brawler will have you running for a towel in no time. While Super Smash Bros. may have popularized the platform brawling genre, new competitors are bringing their own flavor of fun to the madness. One of the more intriguing of these projects comes by way of publisher Digital Smash and KwaKwa Games. Splash Blast Panic invites you to use water guns and your wits to knock your opponents of the fighting platform by any means necessary. This four-player brawler will be launching on PS4, Xbox One, and PC August 28. 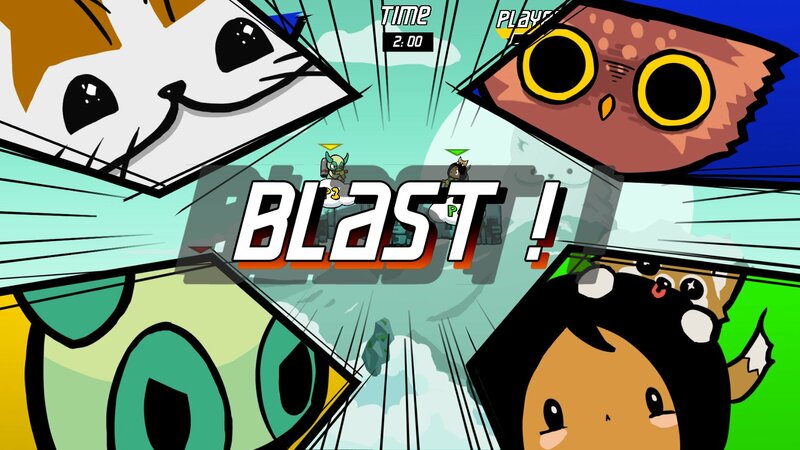 Drawing inspiration from the arcades we grew up in and modern competitive party games, Splash Blast Panic promises to ruin friendships with its wide variety of water weapons and gimmick-filled stages. The game supports local and online multiplayer modes (in case you need to wet your friends from afar). Arcade mode single player, for more stages and characters unlocks as well as other little secrets. And also to master your skills in your free time so you can become "that guy".